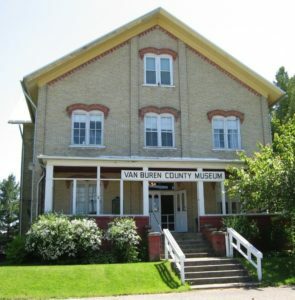 The Van Buren County Historical Society in Hartford is housed in an 1884 building, once the county Poorhouse. We will have a representative tell us about this three-story museum filled with memorabilia. South Haven history will be part of the program. Within this building is a one room school, a general store, a music room, an old fashioned kitchen, an old dentist office & more. After hearing all about the museum we may want to visit and see these items for ourselves.